Join Our October Ai Catalog Party! 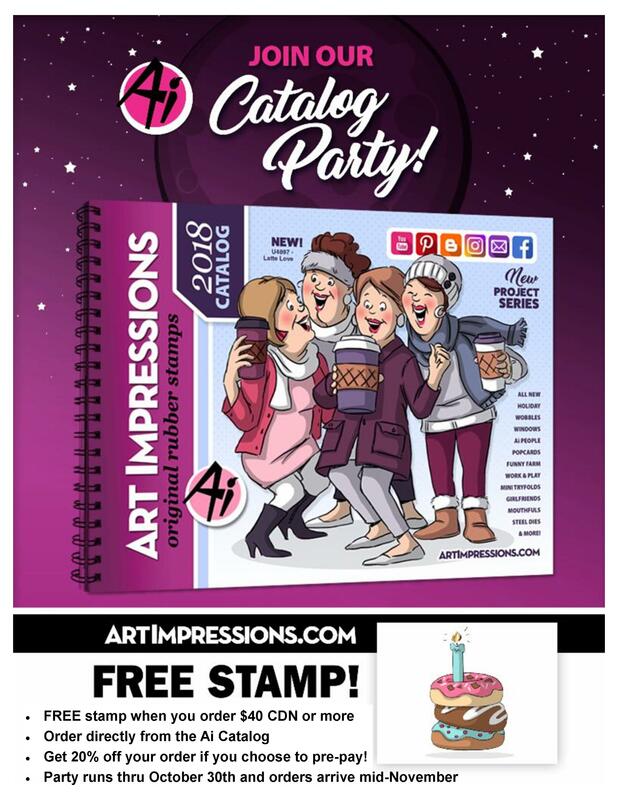 Join Our October Ai Catalog Party! Order anything you like (including items we don’t usually carry) and get a FREE donut stamp with an order of $40 CDN or more! Come sit in the shoppe with our catalogs & a cup of java, or have a look around the Ai website & call in or email your order to us. Get 20% off your order if you choose to pre-pay! Join Our October Ai Catalog Party! Order anything you like (including items we don’t usually carry) and get a FREE penguin stamp with an order of $40 CDN or more! Come sit in the shoppe with our catalogs & a cup of java, or have a look around the Ai website & email your order to us. 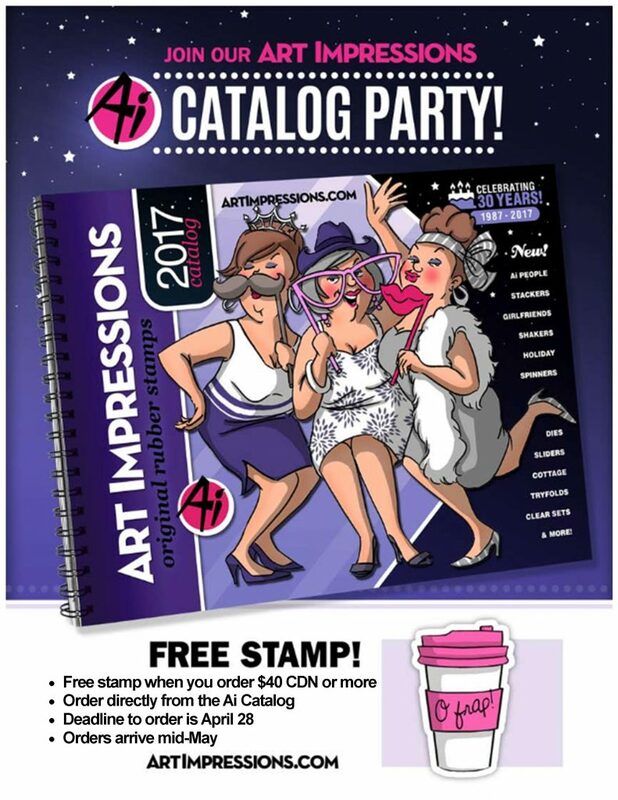 Join Our April Ai Catalog Party! Join Our April Ai Catalog Party! Order anything you like (including items we don’t usually carry) and get a FREE stamp with an order of $40 CDN or more! 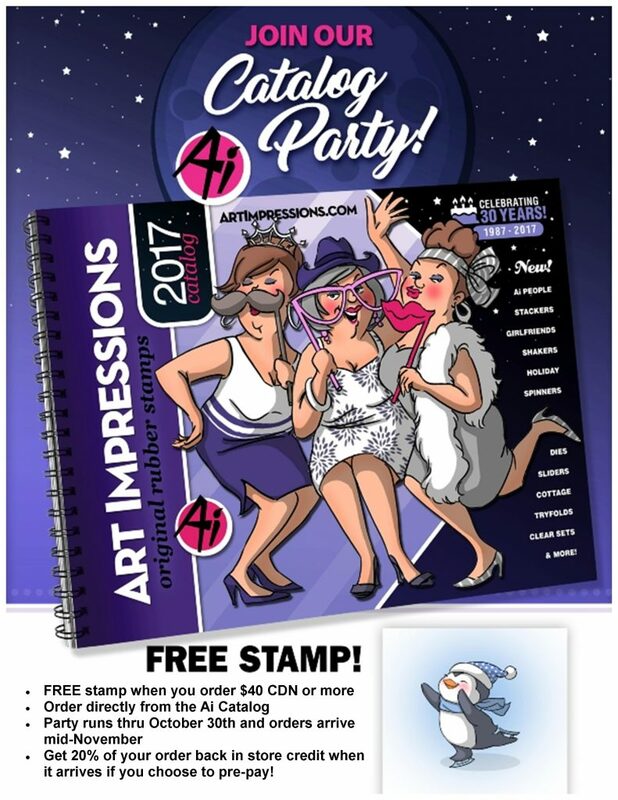 Author AdministratorPosted on April 6, 2017 Categories Sales & PromotionsTags Art Impressions, Catalog Party2 Comments on Join Our April Ai Catalog Party! New Arrivals! 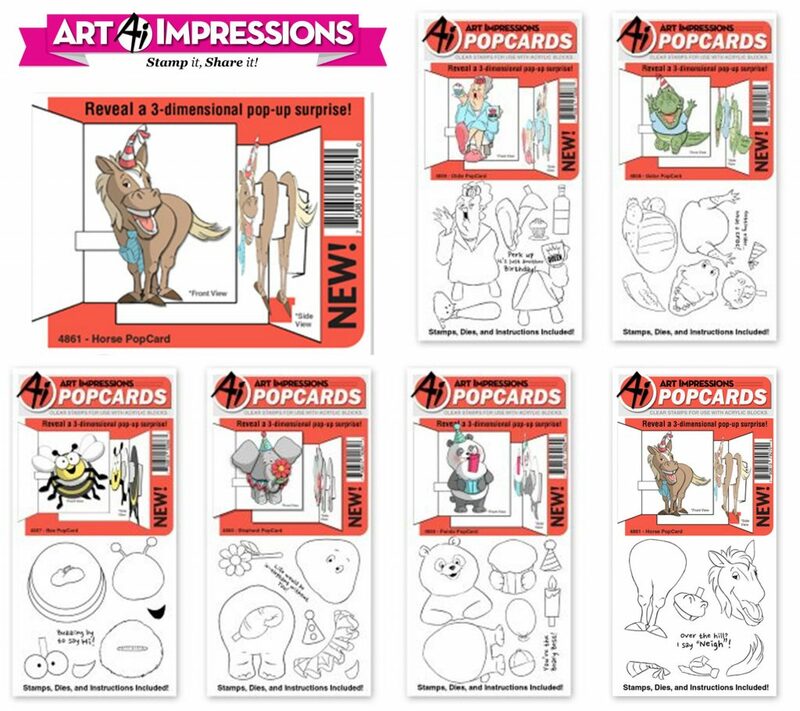 Art Impressions Stamps! 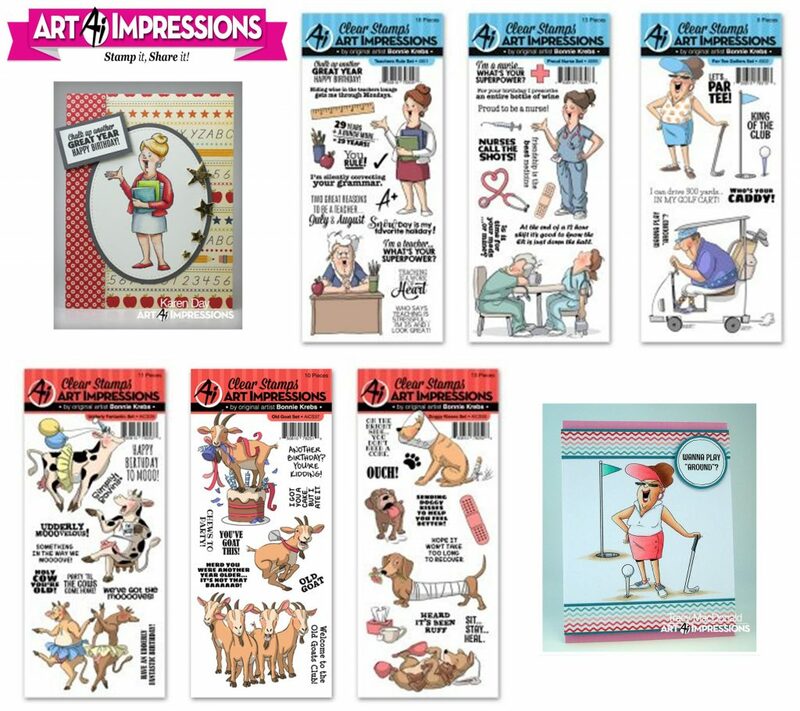 New Art Impressions stamps are in the shoppe! First up, the PopCard stamps, these are so much fun! What do your girlfriends, wine and birthdays have in common? These cheeky new pop-up deco cards of course! Featuring Art Impressions pre-coloured and diecut deco sets, these cards celebrate the friendships and milestones of the women in your life with just a touch of sass! We will be creating three cards in class with lots of layers, fun imagery and a variety of cheeky sentiments… and the colouring & fussy cutting are already done for you! What do your girlfriends, grumpy old men and birthdays have in common? 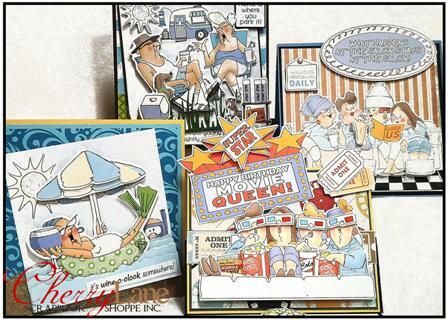 These cheeky new pop-up deco cards of course! 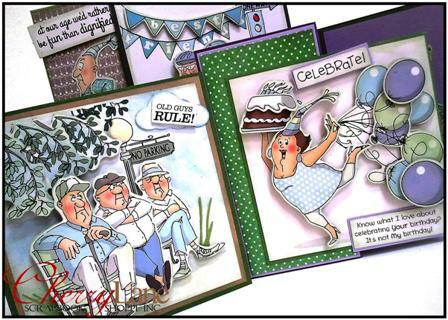 Featuring Art Impressions pre-coloured and diecut deco sets, these cards celebrate the milestones of your best friends and the old guys in your life with just a touch of sass! 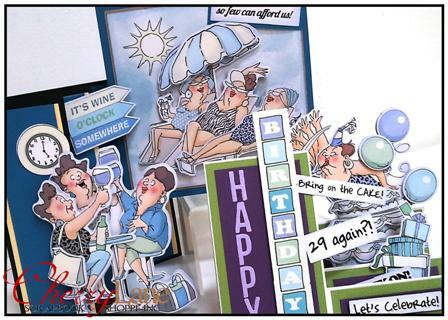 We will be creating three cards in class with lots of layers, fun imagery and a variety of celebratory sentiments… and the colouring & fussy cutting are already done for you! If the shoe fits, buy it in every colour… and throw in the matching purse while you’re at it! At least that’s what my Grandma always did! These new girl friends cards are perfectly suited to so many of the women in our lives… our Mom’s, sisters, Auntie’s, Grandma’s and the friends who pick us up when we are feeling down.